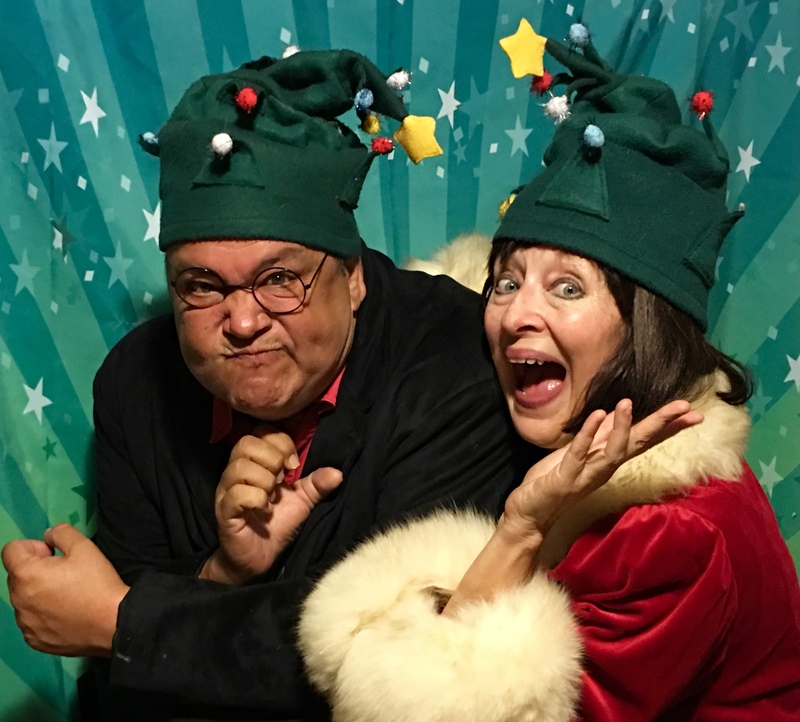 Announcing “A Christmas Bette” – Mainstage Production – Martin City Melodrama & Vaudeville Co.
MARTIN CITY MELODRAMA ANNOUNCES ITS 33RD SEASON WITH THEIR HOLIDAY SHOW AND MAINSTAGE PRESENTATION OF THE CLASSIC, “A CHRISTMAS BETTE!”© AT THE THEATRE’S NEW FOREVER HOME! The Martin City Melodrama & Vaudeville Co. opens its 33rd season with “A Christmas Bette!”© in their brand new forever home!!!! Back by popular demand, this original musical spoofs “A Christmas Carol” with all the seasonal silliness possible. The old traditional “A Christmas Carol” is being performed, when the aging star of stage and screen, Bette Davis, decides to make her comeback in the middle of the production. Nothing can stop the over-the-top Bette Davis from upstaging everyone and soaking up all the attention! The mainstage professional company includes Sean Taylor, Garrett Myers, Philip Blue Owl Hooser, Michaela Menke, and Martin City’s artistic director and resident Bette Davis, Jeanne Beechwood. After the melodrama, don’t forget the vaudeville. It wouldn’t be the same without Martin City Melodrama & Vaudeville Co.’s water glass symphony!! Featuring new holiday tunes, this year’s water glass symphony will delight all ages from 0 to 102. Rumor has it that an audience member will be picked to join the water glass fun onstage. Besides the seasonal silliness of song, dance, comedy and water glasses, don’t miss the 12 DOGS OF CHRISTMAS! 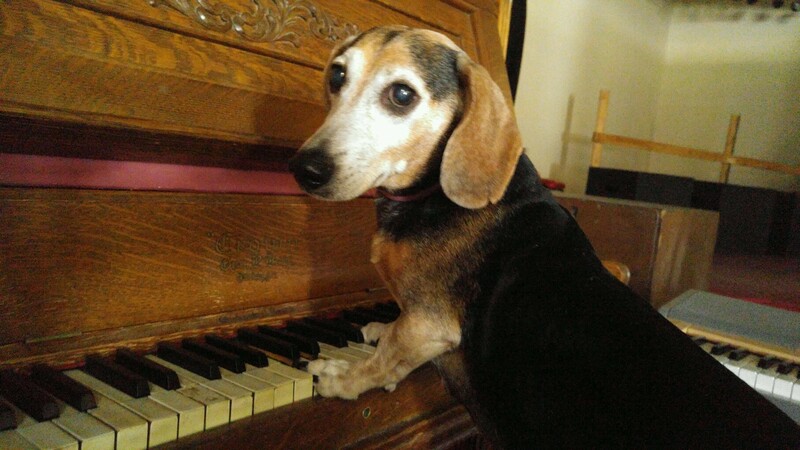 Literally 12 senior rescue dogs will appear on the Martin City stage howling about the howlidays!! The Martin City Melodrama’s New Home is 702 Blue Ridge Missouri in GRANDVIEW, Missouri, just 5 minutes away from the theatre’s original location, where it opened 33 years ago. Conveniently located off 71 Hwy or a straight shot across 130th Street all the way from Olathe, Kansas! The theatre’s new building is fully accessible, includes classrooms, a full size stage and a brand new dog viewing room. An anonymous donor made this 33 year old dream come true for the non profit theatre company. Seating remains in cabaret style with brand new chairs donated by Lane 4. With seating for less than 100, reservations are essential for this Kansas City family tradition of seeing the world famous Martin City Melodrama & Vaudeville’s Co.’s “A Christmas Bette!” and the water glass symphony. This Holiday show for families opens Nov. 24 and runs through Jan. 1, 2018. Tickets are $12.99 for adults, $11.99 for seniors 65 and over, and $10.99 for children up to age 10. Reservations are essential and can be made by calling 913-642-7576. CHARLIE THE WONDER DOG, our star melodrama mutt, appearing in our 33rd holiday extravaganza! 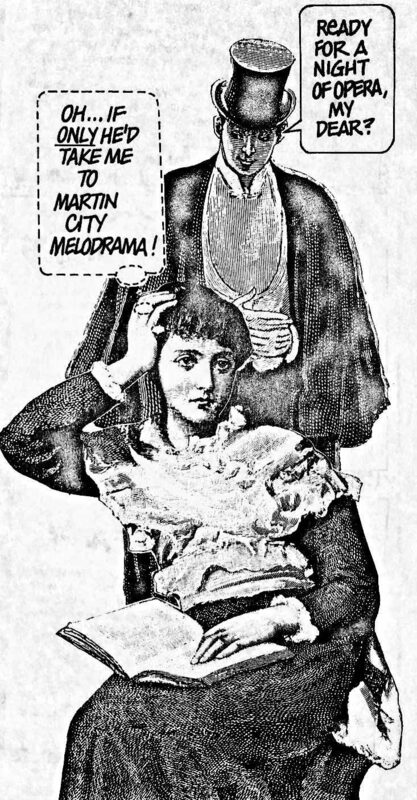 Martin City Melodrama & Vaudeville Co. – Keeping melodrama and vaudeville alive, Making the spotlight accessible to all!